The combination of a growing industry, an outstanding education system, an abundance of wildlife, and economic activity for the region makes Alice TX a favorite among residents and visitors alike. Only in Alice Texas will one find what the 1976 Guinness Book of Records calls the tallest concrete water tower in the world. 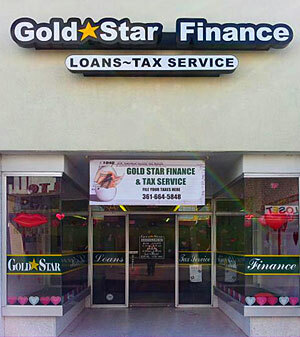 Gold Star Finance is proud to be a part of the Alice TX community, providing short term consumer loans within the Alice TX area. Stop by our Main Street location so we can get to know you better.